This tour gives you chance to learn about the Swahili culture, with a visit to the old town and a local ‘Swahili’ museum. You will visit the sea front and the ferry. The tour has some of the best highlights of this now colorful old city. Your tour will visit the famous bustling fruit and vegetable market, which has been in operation since British colonial days as you wonder the streets of old Arab town. You will see the intricate hand carved doors, and balconies hanging over the narrow streets, unchanged for hundreds of years. Protecting the old port stands Fort Jesus which was built by the Portuguese in 1593,almost 400 years ago, to protect their Trade interest in East Africa. You will get the history and have a chance to look at how it started from fort to prison to now a tourist attractions .Our guide now takes you to the famous Elephant tusks on Moi Avenue the Gate way to East Africa . After the tour, you will be taken for Lunch by our guide. After lunch back to your hotel arriving early for Dinner and overnight at your hotel in Mombasa. Park entrance fees where applicable. Price exc Items of personal nature. Highlights: This tour takes you to Malindi across the new Mtwapa and Kilifi bridges to visit the Gedi ruins. Continue to Malindi and view marine life in a glass-bottom boat at the Marine Park. After lunch in a local restaurant visit the Snake Farm and the Falconry. En route to Mombasa stop at a local village to watch Giriama dancers. This tour starts very early at 7.00am from Mombasa to Malindi town to catch up with the Marine park trip from Watamu. After that you will proceed to Malindi town to visit the famous Vasco da Gama pillar and then to Gedi Ruins on your way back to Mombasa in the late afternoon. Malindi is one of Kenya’s coastal towns north of Mombasa. Just like Mombasa, Malindi holds a lot of history. Its scenic beauty and clean white beaches makes it one of the most lovely and lively visited towns. The Swahili people or bajuni and Giriamas among the Mijikenda and the Italians are the predominant culture found in Malindi. This is a multi-ethic city, a mixture of different culture and religious, a multi colored human rainbow, this is how Malindi can be presented. Down town and old center, the local market building and touristic resorts. Malindi is Kenyan beach holiday at all. Malindi is the most lively and entertaining place along the coast, with its discos, restaurant and pubs night parties on the beach, the casino. Everything needed to make an unforgettable holiday. 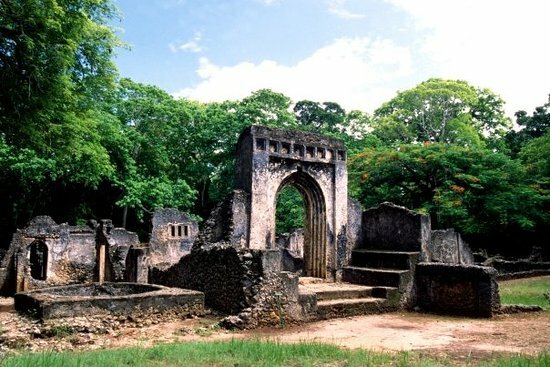 Malindi was made famous after Vasco da Gama’s stop over in 1498. In Malindi, you will see narrow alleys in the old part of town where the old houses have been lived in for centuries. One of the oldest East African churches still stands strong; the Church of St. Francis Xavier still stands strong across from Vasco da Gama’s pillar, where he carved the Christian cross. Also extant is the Juma’a mosque, which was misused as a haven for slave trading until mid 1870’s. 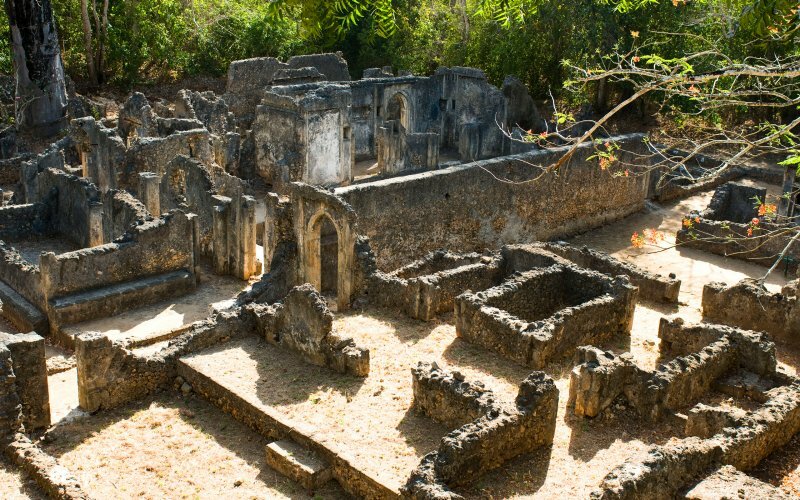 Gede Ruins is a 12th Century Swahili village that was mysteriously abandoned some 600 years ago due to unknown causes. It is now a National Museum, and the ruins are heavily overgrown with beautiful indigenous forest trees, baobabs and tamarind. Well worth a walk and a visit. 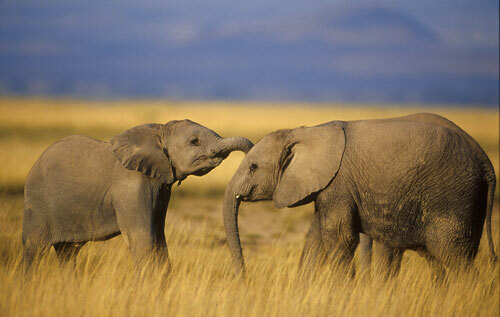 Look out for Syke’s Monkeys, and the Golden Rumped Elephant Shrew can also be seen here. A quiet, careful look in some of the old wells can turn out the odd owl, too. The tour of Malindi area will encompass a visit to the lost city of Gedi, the town of Malindi, a ride out to sea in a glass bottom boat and lunch at Hemingway’s Beach Resort or Turtle Bay Beach Resort before disembarking back to Mombasa. Boat Ride fees to Marine park from Watamu. Tips to drivers / Guide. 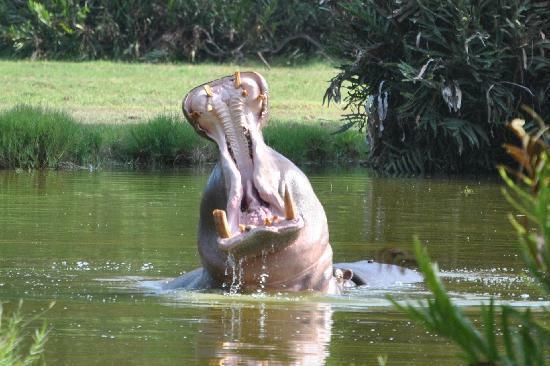 Highlights: This is a full day wildlife and Nature Tour which takes you to the Haller Park Sanctuary in Mombasa and Nguuni Nature Sanctuary. This tour takes you to the Haller Park, once a quarry has today been transformed into a man made paradise and it has the best eco-system within the coastal region. Proceed to Nguuni Nature Sanctuary, lunch at Ngomongo villages. 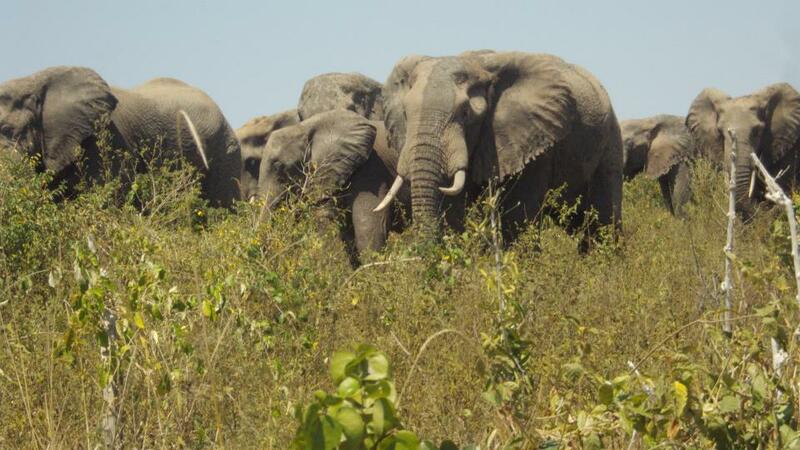 After lunch you will be able to proceed with the tour to Nguuni Nature Sanctuary; only 4 kilometres away from the Bamburi Cement Factory, Mombasa, this small sanctuary offers spectacular sunsets over a beautiful landscape. The Sanctuary, kindly leased by Bamburi Cement Ltd., is being developed by the Trust and with the help of the neighbouring communities. Large Doum Palm crowned by Leopard Orchids are scattered in the grassland. The valleys consist of rain-fed ponds inhabited by water, birds and fish. or alternatively, if you do not want some, you will be taken back to your hotel. 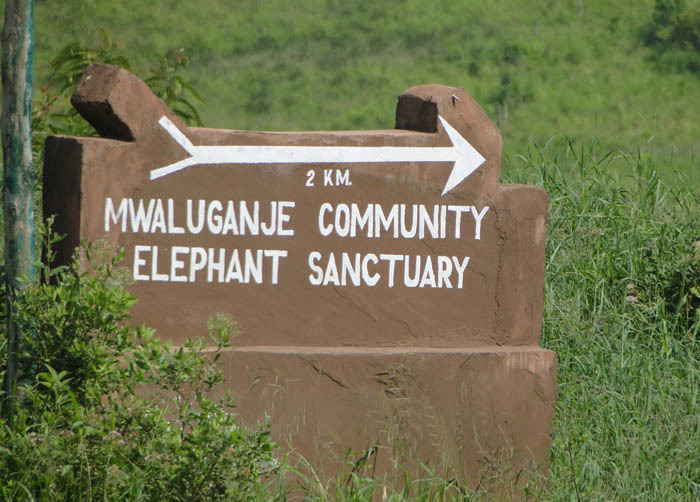 This is a tour which will take you straight to the Mwaluganje Elephant Sanctuary which is today a home of many Elephants that has helped the local community from the destruction of crops caused Elephants in their farms. The local people who are Digos,Durumas among the Mijikenda and Kamba tribe (and receive dividends) from the sanctuary. Dinner and Overnight at your hotel in Mombasa. Safari transport in a custom designed min- van with a pop-up roof.